A Blanket Box really can be used for anything and everything, including all of those things that didn’t even cross your mind. Always in desperate need of a little extra storage, we want to tell you the best ways of using a blanket box. Not only where you can put it into your home, but also let you in on the secret of what they can actually store. So here are all the weird and wonderful things you could use a blanket box for. Traditionally people situate blanket boxes at the end of their beds. Adding texture to the room, it also extends the bed for anyone excessively tall in need of a little extra length! However, in real life, not many of us actually have enough space at the end of our beds for a blanket box. Or even enough space for anything at all, actually. So where does the name come from? Really simply, the blanket box gets its name from what they were designed to be used for – Storing Blankets. Maybe not just blankets; think spare linen, towels, bedding, but of course no other title sounded as good as ‘blanket’ followed by ‘box’. But, actually storing in them what they were intended for would be boring wouldn’t it? So here are three wonderful ways that you use your blanket box to stand out from the rest. Despite the days of Netflix, we always seem to end up with a massive collection of DVDs. Well we seem to at Furl anyway! We don’t of course want to watch Bridget Jones Diary every single night of the week though. However, we also don’t want to chuck it away (because yes you are right, its not on Netflix!!). So using a blanket box as a cinema room really works. Not to forget of course what we all need when watching a movie, a footstool! 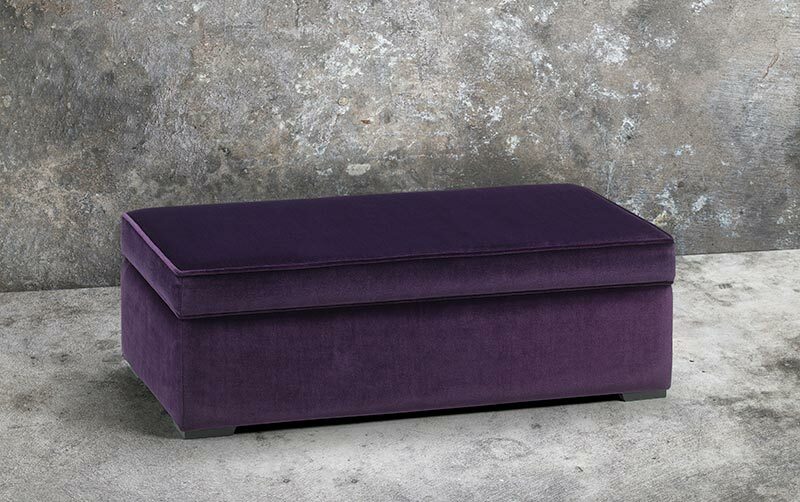 Your blanket box could double up as both a footstool come coffee table. Perfect for Friday night movies. With so many people now working from home, it has become more and more necessary to separate the office from the dining room. It has also become increasingly popular to use a bench (or in this case blanket box) as a seat at the dining table instead of individual chairs. This is where the seat can double up as the home office. We don’t want Spaghetti Bolognese stuck to the stapler. Nor do we don’t want to have all of those invoices staring at us whilst trying to enjoy family time. So as soon as that clock hits 5, or 6 or 7 if it needs to, you can pop open the lid and pack away the working day. If you aren’t the lucky minority with the space at the end of your bed for a blanket box, perhaps you might have some space in the hallway. The last thing we do before leaving home is put our shoes on. Usually this task consists of searching the house for the location we last left the shoes we want to wear. Whilst tripping over other pairs we didn’t want along the way. A hallway blanket box would double as perfect shoe storage, even providing a seat to help when putting them on. We have a page on our website dedicated to these wonderful storage boxes. Furl’s blanket boxes even come with built in magazine storage too – perfect for that magazine subscription you can’t cancel. You know you can’t throw the magazines out because, yes we know it, you haven’t read them yet!